Build understanding and belonging across differences. The workshop is free and open to the public. 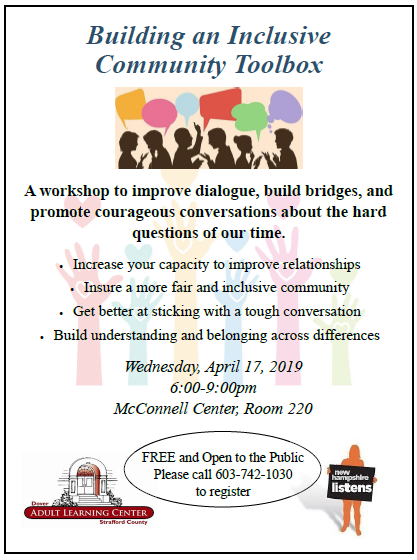 If you are interested in attending, please call 603-742-1030 to register.